Thorn, a nonprofit organization focused on building technology to defend children from sexual abuse, is planning to use advanced technologies, including blockchain, to eliminate child sexual abuse material from the internet. Co-founded by Hollywood actors Ashton Kutcher and Demi Moore in 2009, Thorn is one of eight organizations to share in over $280 million of funding through TED’s The Audacious Project, which funds critical projects with the potential to create global change. 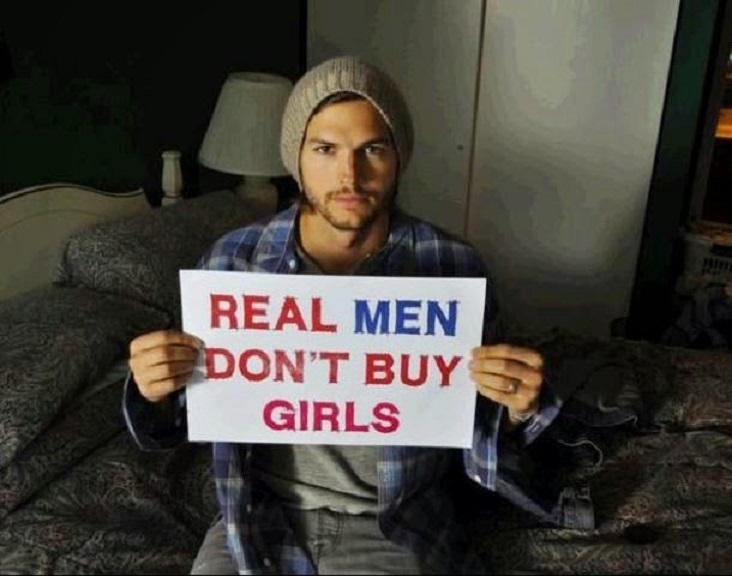 "The internet has created an opportunity for mass distribution of images and videos of child sexual abuse, and the majority are very young children, often under 12," said Ashton Kutcher, co-founder of Thorn. "This extraordinary amount of funding towards the elimination of child sexual abuse material from the internet illustrates that investors and donors recognize this is a rapidly growing and dangerous issue that must be addressed." On Thursday, Thorn announced its initiative to remove child sexual abuse content from the internet. Towards this goal, it has announced a number of measures including building and scaling its software, driving data collaborations, support and invest in critical global partnerships, focus on cutting-edge technologies and more. Thorn said it will build out product teams and create the only research and development team that will be entirely dedicated to new technologies to combat online child sexual abuse. “Thorn will aim to stay ahead of perpetrators and focus on advanced technologies that either pose a threat in this space or can be leveraged to stop this abuse. Initial research areas include live-streaming, blockchain, and cryptocurrency, which are already emerging in this field,” it added. Last year, Thorn launched Safer which offers a low-cost, scalable tool required for swift review, removal, and reporting of child sexual abuse material, and aims to end its viral distribution. Thorn works closely with child protection organizations like the National Center for Missing and Exploited Children (NCMEC), WePROTECT Global Alliance, Canadian Center for Child Protection, INHOPE, Internet Watch Foundation (IWF) and others who have worked tirelessly against child sexual abuse for decades. 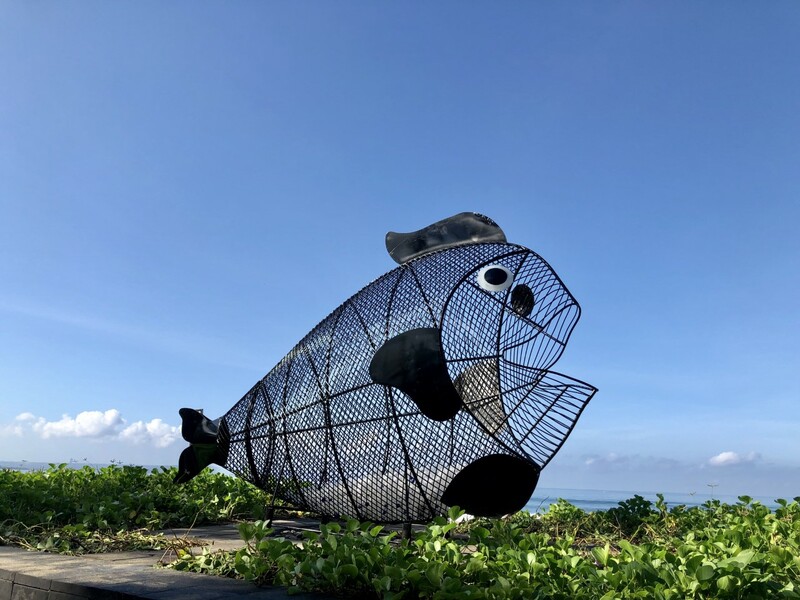 This local beach decided to do something simple, instead of just placing a ton of boring old garbage cans around the beach, they made a giant see through fish out of some barbed wire and mesh, and added a sign to it that said “Goby loves plastic, please feed him”. 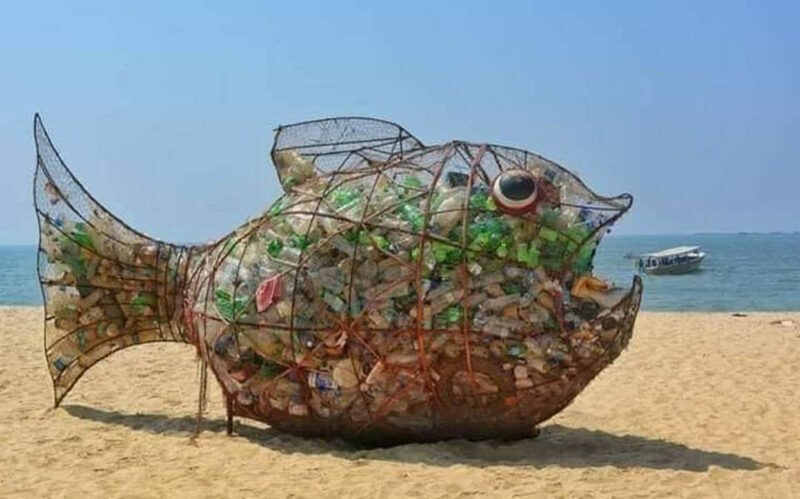 The key to the success was that kids had no pleasure in recycling plastics into those old crusty blue bins, but when it turned into a game where they had to “feed” Goby it just took off. Goby to this day is constantly being fed, and most of the times he actually gets more than he he needs for a days meal. He’s usually taken away by the city overnight to empty all his plastic that he’s eaten, and then brought back the next morning with an empty stomach so people can continue to feed him again and again. My question is, why is there not a Goby on every single beach in this world!? Now that it’s legal to grow hemp in the United States, a man who’s spent the last decade developing hemp “hardwood” is building a $6 million factory to manufacture the product en masse. His patented product called “HempWood” is made out of compressed hemp pulp fibers, held together with a soy-based glue. While that may sound like some newfangled version of particle board, it’s not. It looks and feels like oak, but is actually 20 percent harder than the famous hardwood tree. It also grows 100 times as fast. While it takes an oak tree at least 6 decades to mature, it takes hemp 6 months. Thats good news for oak trees, as they are among the most endangered trees in the planet because of the high demand for solid oak furniture. The owner of the new start up company Fibonacci, Greg Wilson, was a pioneer in the bamboo flooring industry before hemp became legal. The company uses technology popularized by China’s strand-woven bamboo industry, in addition to technology developed at Wilson’s other company SmartOak, which creates engineered wood products using logs that would otherwise be converted to wood chips. 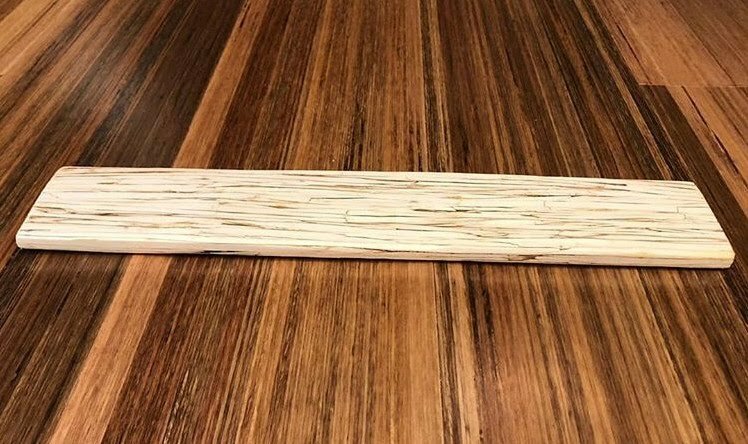 HempWood will be used to make blocks, boards, flooring, cutting boards and skateboards, all at prices far cheaper than oak, the company said. 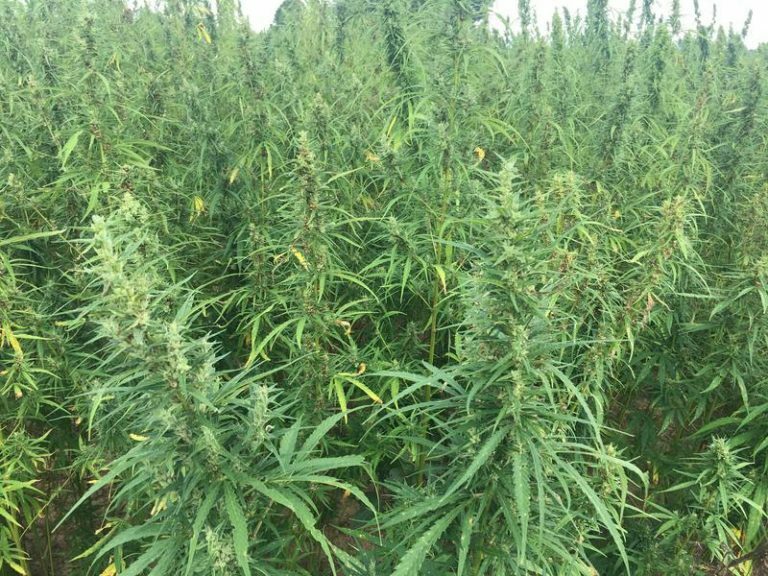 The company will be headquartered in Kentucky, where more than 40,000 acres of hemp are already being cultivated. 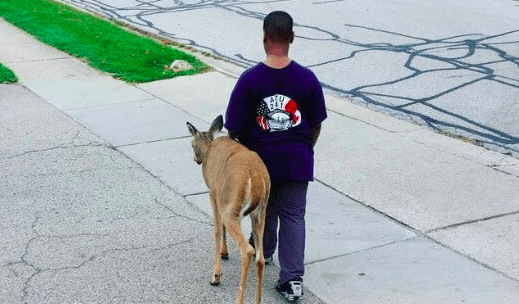 A photo of a 10-year old boy walking a blind deer through a Chicago neighborhood is going SUPER VIRAL! The man said later that an IDNR licensed wildlife rehabilitation group came and picked up the deer. “They’re the only people who are legally able to treat and shelter a deer in Illinois. Half the neighborhood came out to see it, including the young boy and his mom,” he wrote.